The National Atomic Museum Education Department actively engages and explores issues in nuclear science and history by providing quality experiential based interactive tours and programs. We are committed to providing quality standards-based nuclear programs for school and community groups here in Albuquerque, New Mexico, and globally. 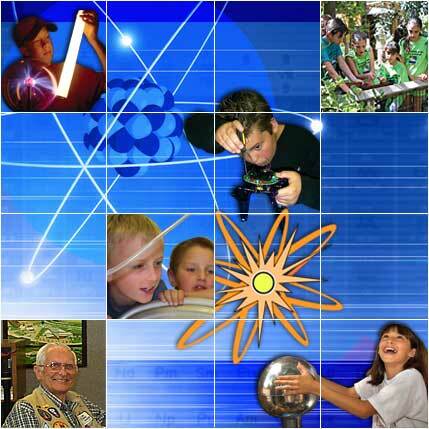 Let the National Atomic Museum be your one stop shop for all your educational needs year round. Create your own unique fieldtrip experience from a menu of educational standard-aligned content, customized to your curriculum and grade level, or choose an outreach, professional development, or Science Summer Camp that is right for you! The National Atomic Museum provides several ways to take advantage of our professional development opportunities which are designed to provide educators at all levels a chance to deepen content knowledge and strengthen pedagogy in science and technology. Our hands-on, inquiry-based workshops address state and national learning standards, and allow you to work at your own pace. We offer workshops locally and through our outreach program to the southern part of New Mexico. Book a workshop at the National Atomic Museum or have our educators come to you for an In-Service Day or summer workshop. Please visit our reservations page to submit a request for any of the following workshops.